Mostly cloudy. Low 49F. Winds ESE at 5 to 10 mph..
Mostly cloudy. Low 49F. Winds ESE at 5 to 10 mph. Annie Rebecca (Sollenberger) Deitch of Carlisle, 85, joined the Church Triumphant Wednesday, February 6, 2019, at home, with family by her side. Born January 1, 1934, she was the daughter of Fred and Elsie (Swartz) Sollenberger. She was the wife of Richard S. Deitch, who passed away July 4, 2014. She is survived by her sister, Helen Vance of Carlisle; brother, Paul Sollenberger of Newville; daughter, Susan (husband Stanley) Dye of Carlisle; son, Scott (wife Diana) Deitch of Greenwood, IN. ; four grandchildren, Stephanie Dye (husband Michael) Nericcio, Rebecca Dye (husband Jonathan) Stets, Emily Deitch and Zachary Deitch; two great-grandchildren, Evelyn Nericcio and Leo Stets; and many beloved cousins, nieces and nephews. Annie was predeceased by brothers Floyd Sollenberger Sr. and Oscar Sollenberger, and sister Martha Mohn. She was a 1951 graduate of Carlisle High School, where she was a member of the Oracle staff, Thespian Club, Budget Club, Y-Teens and Commercialettes, and secretary of the Dramatic Club. She was a member of St. Matthew Evangelical Lutheran Church, Plainfield; Society of Farm Women of Pennsylvania, for which she served in several leadership roles in Cumberland County Chapter 16, and at the county level; and Plainfield Lions Club. She was a former member of the Order of the Eastern Star. A memorial service will be held Monday, February 11, 2019 at 11:00 a.m. at St. Matthew Evangelical Lutheran Church with Vicar Andrew Wagner and Rev. Floyd Sollenberger Jr., co-officiating. Interment will follow at Westminster Cemetery, 1159 Newville Road, Carlisle. 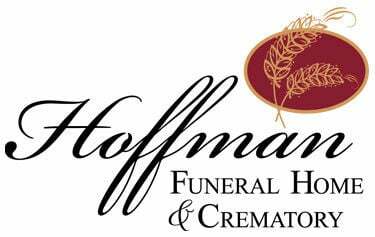 Visitation will be Sunday, February 10, 2019 from 6:00—8:00 p.m. at Hoffman Funeral Home, 2020 W. Trindle Road, Carlisle, and Monday from 10:00 a.m. until the time of the service at the church. The family thanks the staff of Synergy HomeCare and Heartland Hospice Care for the wonderful care and compassion provided to Annie in her final weeks. Memorial contributions may be made to St. Matthew Lutheran Church, P.O. Box 177, Plainfield, Pa., 17081; Plainfield Lions Club, c/o Michael Nericcio, President, 132 Lefever Road, Newville, Pa., 17241; or St. Jude’s Children’s Research Hospital, P.O. Box 1000, Dept. 142, Memphis, Tenn., 38148-0142. To sign the guestbook please visit www.hoffmanfh.com.